As noted, Triple H and Ronda Rousey had dinner together in Los Angeles on Tuesday night as the two sides continue to work towards Rousey's WWE in-ring debut. 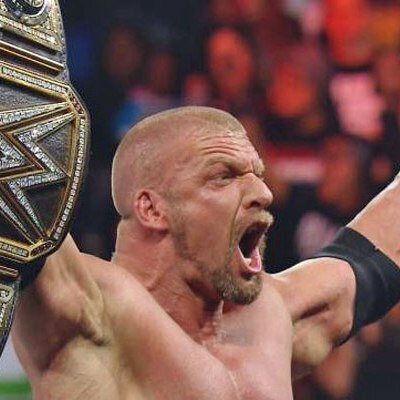 Triple H spoke to The Associated Press on Wednesday and confirmed that they are still having talks. "We are talking to Ronda, as we've been for a while," Triple H said. "She has a lot of things going on. We have a lot of things going on. But we have a great relationship with her, a very friendly standpoint for a long period of time now. It was great to catch up with her." There's been speculation on Rousey making her debut in the women's Royal Rumble match later this month but Triple H says they have not agreed on a deal yet. "We have nothing to announce at this time," Triple H said. "But she's a huge fan of what we do and she's incredibly interested in what we do and the opportunities that lie there. We're fans of hers and incredibly interested in what those opportunities could be with us. But there's a lot of things to walk through. We're talking. We're having conversations."